The case of baby Bou-Bou has been settled. Freedom loses. I wrote about this situation back in December of 2014 but I’ll recap quickly in case you don’t want to read it again. A man, his wife, and children moved in with relatives because of financial difficulties. The relatives had an estranged son who hadn’t been seen in months. An informant told police the son was selling drugs. The police learned the address of the family. A judge wrote a “no-knock” warrant (kick in the door without warning). The police made no determination that children were in the house and the supposed criminal hadn’t lived there in months. 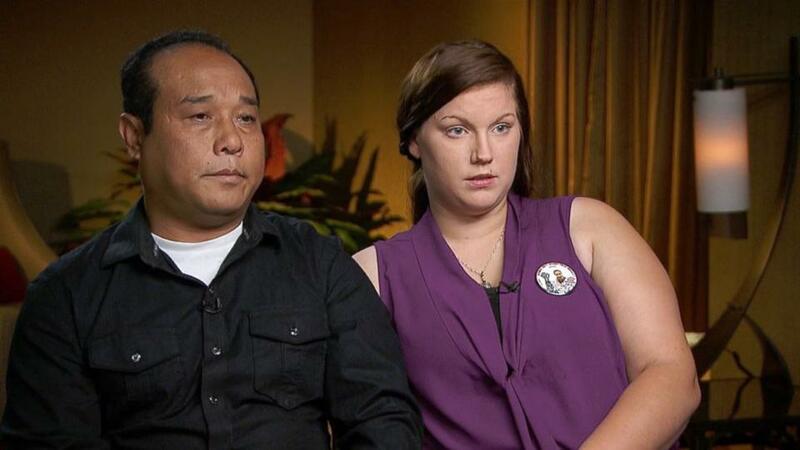 During the raid a flash-bang grenade was thrown into the baby’s crib. The resulting medical bills were in excess of one million dollars. The family sued. A summary of the defense was written by a fellow named William Griggs and sums it up pretty well. The case was settled for less than the medical bills and split between all family members. No officers, judges, or anyone else was charged with a crime. The settlement money is paid directly from tax-payer revenue. So, taxpayers of Georgia, you are party to this disgusting travesty. The War on Drugs is, at this point, nothing more than a series of vile schemes to enrich judges, lawyers, law-enforcement officers, private prisons, and a host of others at the expense of our freedom. Let’s end it. There’s an interesting case that was just resolved in France where a bartender was sentenced to a suspended sentence and ordered not to work in a bar for a year after serving a patron fifty-six shots of alcohol in a single sitting. In the United States it’s largely illegal to serve habitual drunks or clearly intoxicated people so this could well have happened in the United States as well. I wanted to examine the law and the ruling from a Libertarian perspective. It’s clear that Renaud Prudhomme willingly and eagerly consumed the alcohol. He was trying to break a record for the most shots of liquor taken in a single sitting, the previous record being displayed in the bar. That seems to have been the crux of the legal case against Gilles Crepin who was the bartender on duty and who posted the record on a notice board. I think it’s pretty clear that by posting the record Crepin and the establishment were encouraging patrons to try and break the record. It’s also fairly obvious to me that anyone who drinks fifty-six shots of alcohol in a sitting is putting their life at risk. Still, should it be illegal for bars to encourage drinking to excess? Should it be illegal for a restaurant to offer all you can eat buffets? That is also clearly unhealthy. Should it be illegal for governments to sell lottery tickets, which largely serve as a tax on the people who can least afford it? These are interesting questions in my opinion. I do think there is legitimacy to the idea that a business should endeavor to make their environment safe for patrons. We have guard rails on overlooks to prevent people from falling and nets at baseball stadiums to prevent foul balls from harming spectators but this is somewhat different than rules about protecting people from themselves. If someone wants to drink themselves to death or at least into a dangerous state is it the job of the bartender to prevent it? I absolutely don’t think bars should be posting information about the record number of drinks taken in a sitting but I’m equally convinced it shouldn’t be illegal. Any establishment that does so is encouraging people to drink too much and this leads to drunken behavior. I’m not a fan of being around people vomiting, stumbling around, erratically driving their vehicles, and all the other attendant problems with too much alcohol. If a bar proved to be full of people like that I’d stop going. It’s my opinion that in the end we must allow people to make their mistakes in life. When we try to make the world a better place with such laws it inevitable makes the situation worse and the establishments in question find a way to defeat the rules. There is no doubt that humans are often weak of will in many ways and that they can be taken advantage of by unscrupulous people. But, as long as the person so manipulated was not a victim of fraud and simply chose, of their own free will, to behave in a self-destructive fashion, so be it. For years Charter Communications was the only way I could get internet service. The company was founded here in St. Louis and I had many dealings with them. I’m not a fan. I won’t go into details but the only thing that rivals the stories I have to tell are those I read from Comcast customers. 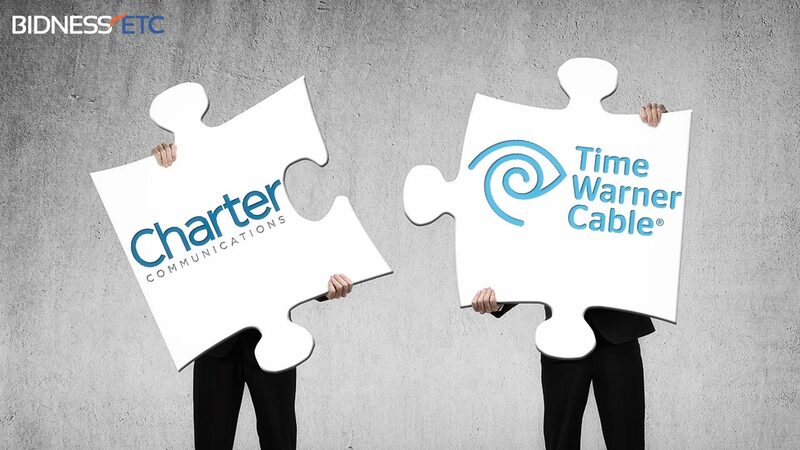 They are now the fourth largest cable operator in the United States and poised to become even larger with the purchase of Time Warner Cable. I cannot tell you how much this bothers me. It is an example of everything that is wrong with our capitalistic system here in the United States. My personal hate of Charter aside it is a travesty of what true capitalism is all about. What happened is that Charter made many acquisitions in 1999 as it attempted to grow. These proved disastrous in the long run as they created an enormous amount of debt which eventually overwhelmed the company in 2009. If the economic system in which we live was truly capitalistic what would have happened is that Charter’s competitors and new companies would have purchased the equipment and hired the people away from the company as it succumbed to its mountain of debt. These would have been the well-run cable providers and aggressive new entries into the field. It’s not what happened. What happened is Charter filed for bankruptcy and avoided paying over $8 billion in debts and then continued to operate at a huge competitive advantage over its rivals. With this massive debt erased by the wave of a judge’s magic wand they were instantly able to swamp rivals and become a leader in the industry, all thanks to their complete mismanagement. Yeah! This is the business model in the United States now. Failure just means you don’t have to pay your bills so you can grow more. If you buy enough Congressmen you’ll get laws passed so you succeed no matter what your business model. It’s a plan that is horrible for consumers and in many ways is destroying our freedom. We Libertarians believe strongly in rewards going to those who succeed but we also believe that those who mismanage their company must fail. In this country you don’t fail anymore because politicians pass laws to help their cronies. It’s called Crony Capitalism. We in the United States no longer live in a capitalistic economic system or even a Republic. We live in a Plutocracy where moneyed interests subvert true capitalism. If you’re a Republican who believes in the market and capitalism I have some advice. Stop voting for Republicans. If you’re a Democrat and believe in freedom of choice than I have some advice. Stop voting for Democrats. Are Local Police Listening to Your Cell Phone Conversations? I just read an article about something called a Stingray Phone Tracker. If you believe in the Fourth Amendment to the Constitution you should read about them as well. 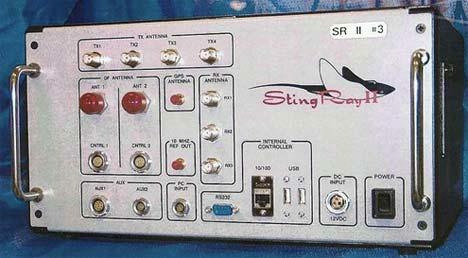 What is a Stingray Phone Tracker? It’s a new weapon in the arsenal of local police that forces your cell phone to connect to it instead of the local cell tower. Law enforcement can then target your phone and download all conversations, text and voice. All this is within the scope of the Fourth Amendment if said use of the Stingray was authorized by a Probable Cause Warrant. The problem is police are using it with what is called Pen Register authorization. This only requires that police state the number is useful in an ongoing investigation and requires far less justification than a Probable Cause Warrant. It’s probable police are using it without any permission whatsoever. Nor are there any rules about how long they can keep the information and with whom the information will be stored. It is only recently that people are learning about the use of these Stingrays but there is no doubt in my mind that once police have such a weapon available to them, they will use it, and use it frequently. What little information exists suggest as much. 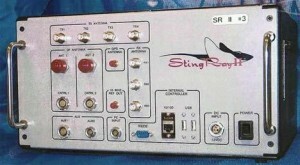 Some local municipalities are now requiring that the use of the Stingray be specified in the request to the judge. It seems clear that police have been obtaining the Pen Register authorization when the judge in question didn’t understand the technology and what could be gleaned from it. For some time now we’ve been quite concerned about the federal government listening to our conversations but now it seems quite likely that everyone down to your local sheriff has the ability to the do the same and apparently without much supervision or public knowledge. I suppose there are those out there who trust law enforcement agencies to use this technology properly and there are even those who say if you don’t do anything illegal why would you care if the police listen, record, and store you texts? Well, I care. They have no business doing so and the Constitution of the United States makes that clear. I’m not opposed to police and investigation but I also strongly believe in the Fourth Amendment and if law enforcement officers want to listen to citizens conversations they must obtain a warrant. Otherwise they are breaking the law and should be prosecuted. Most of you probably haven’t heard that a Milwaukee Brewer reliever named Will Smith was recently suspended for eight games because he had a foreign substance on his arm while pitching. There are a lot of things wrong with what happened and the least villainous, in my opinion, is Smith. I’m a St. Louis Cardinals fan and I have no love for the Brew Crew but the blatant hypocrisy that is baseball in regards to pitchers and foreign substances is so egregious that it rouses my ire nonetheless. The undeniable fact of the matter is that new baseballs, even when “rubbed up”, can be difficult for a pitcher to grip and the situation is made worse in cold weather. To counter this pitchers use various mixtures that allows them to grip the ball a little better and thus control it out of their hand. If the ball slips out of their hand a little too early or stays in just a little too long the pitch can go anywhere. This extra control allows them to keep the ball over the plate instead of in a hitter’s ear. Everyone wants the pitchers to have this extra control and every player, umpire, manager, and coach is well aware of the practice. The rule against foreign substance was largely designed to keep pitchers from putting something on the ball or scuffing the ball in such a way as to make its motion unpredictable and more dramatic. That’s not what is happening here. Everyone knows what is happening. I remember back in the 2006 World Series when pitcher Kenny Rogers left an obvious blob of goo on his hand. The Cardinals reaction? Manager Tony LaRussa quietly told the umpire to ask him to wipe it off between innings. No big deal, no accusations, no suspensions. On with the game. The bottom line is quite simple and any number of baseball analysts have suggested it. MLB needs to find an acceptable substance and delivery system and allow the pitchers to use it legally. Problem solved, hypocrisy resolved, game on. 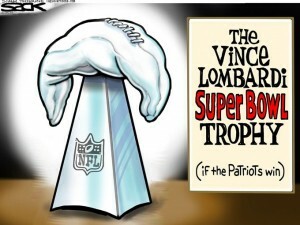 What bothers me most about all of this is the sanctimonious eight game suspension. It’s simply for show and it’s completely unfair to Smith and the Brewers. The people who suspended Smith know it’s common practice and not designed to alter the flight of the ball. The umpires know it. The Atlanta Braves, who reported Smith and asked the umpires to act on it, know it, the commissioner knows it, everyone knows it. It’s arbitrary enforcement of a ridiculous rule by a governing body that is exerting its power because they can; rather than using such power to create a better game when such is easily within their reach. It’s abuse of power and that’s something that pushes my Libertarian buttons. One of my friends recently shared a picture from the Facebook page “Being Mommy” and it made me perhaps a little angrier than it should have. 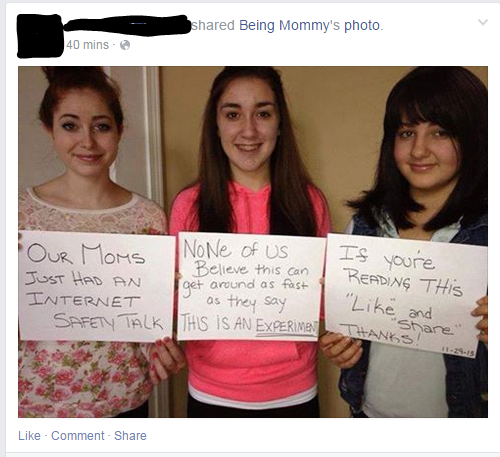 Basically it shows three female teenagers claiming they spoke with their mothers about how fast things spread on the internet and wanted people to share and like it as a experiment. 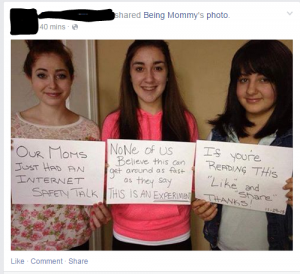 They knew exactly how fast things spread on the internet and created the picture largely hoping to get publicity from news sources like Being Mommy. It apparently worked much to my disgust. What their parents didn’t teach them is to be honest, to have integrity, and to not manipulate other people. I’m not certain why this picture annoys me so much but there is no doubt I’m angry. It’s just so fake, so manipulative, so grossly calculated that it makes me burn. I’m angry that so many people are willing to fall for such nonsense without so much as a second thought. Shame on the girls! Shame on anyone who shares or likes the picture! Enough wasted time on that. Over the last few years a very wealthy fellow by the name of Rex Sinquefeld has been making St. Louis the chess capital of the United States and his progress in that regard continued when he convinced the third highest rated player in the world, Fabiano Caruana to come play here at the St. Louis Chess Club. The unarguably best chess player in the world, Magnus Carlsen, made the following comment on his Twitter account: … so they are indeed buying nerds. I’m certain Carlsen was taking a humorous and good natured jibe at Caruana and Sinquefeld and I took no offense at the statement but I did want to examine the idea that Sinquefeld is indeed buying up all the world’s best chess players and loading Team United States to become a dominant player in the world. Is this a good thing? A bad thing? No thing at all? The fact that an extremely wealthy person bought the land and a building which he turned into one of the finest chess clubs in the world is undeniable. That he lured Hikaru Nakamura to St. Louis with a contract that pays him well is a fact. That Sinquefeld also managed to convince the 7th highest rated player in the world, Wesley So, to come to Webster University to play college chess is undeniable. That Sinquefeld hired Susan Polgar away from her chess coach job at Texas Tech is a fact. That she brought her entire NCAA Championship team with her and won the title in 21013 cannot be denied. None of these people was born in the United States and here they are leading the charge of U.S. Chess. What Sinquefeld set out to do and what he has accomplished are simple facts. I’ve got an oar in this boat as they say because I live in St. Louis and belong to the local chess club Sinquefeld started. I love playing chess and having such luminaries around certainly makes things very nice for me. But is it good for someone to be able to essentially purchase the best players and thus championships? It’s clearly been good for St. Louis. It’s clearly been good for Caruana, Nakamura, So, Polgar, Webster University, The Central West End (where the club is based), and a host of others. Money is willingly being exchanged for services and all parties seem satisfied. Of course what is good for one group is often times bad for another. Italy loses its finest chess player. Texas Tech loses its championship chess team, the Philippines loses its best chess player (So). It is clear that this unbridled capitalism has victims as well as beneficiaries. My bias is undeniable but I still think what Sinquefeld is doing is not only perfectly acceptable but largely beneficial. He is bringing tremendous publicity to the game of chess although certainly the amazing Carlsen is doing that as well. It’s a golden era for chess as computers have found new and exciting variations that liven up the game. The internet has brought players from all over the world together to enjoy the game they love. What Sinquefeld is doing by assembling this group of players is good for chess in the long run but I do see the danger. There are competition laws for a reason. What if Sinquefeld were to pay all the top players in the world to join his club? What if he exerted such influence that anyone who didn’t join was colluded against? What if he then started charging exorbitant rates for appearance fees and tournaments because he controlled all the best players? My argument is that he has yet to do those things and therefore I don’t have a problem. Absolute power leads to absolute corruption as they say. It bears keeping an eye on. Welcome to St. Louis, Fabiano! See you down at the club. I’m a huge proponent of self-driving cars for many reasons and my trainer at the gym alerted me to the fact that 4 of the 50 self-driving cars in California have been in accidents. The assumption being that they caused the crashes; or at least that’s what the bevy of misleading headlines would have you believe. The facts you ask. Sure. All eleven accidents occurred at less than 10 mph and no one was injured badly. 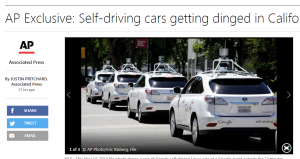 The biggest accident involved a self-driving car being broadsided by another car. All of the accidents, all of them, involved other cars hitting the self-driving cars, mostly being rear-ended while stopped. Self-driving cars are required to report all accidents including minor ones where no damage occurs (the majority of the cases here) thus the apparently high number of crashes. Most people never report the sort of accident in which these cars were involved. Conclusion? Self-driving cars, even in their infancy are doing just fine. I was watching the Player’s Championship golf tournament this weekend when I became more aware of golf fans attempting to intrude upon the game. 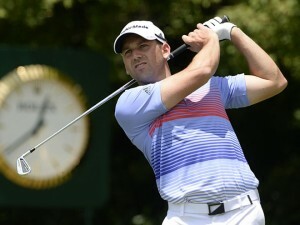 In this case a group of hecklers continually shouted at Sergio Garcia as he was swinging at the ball. Garcia is no stranger to controversy and his attempted humor about fried chicken and Tiger Woods engendered a great deal of ill will from various fans. Garcia and Woods were engaged in heated competition and Garcia made the comment when asked if he would be seeing Woods later in the week. He apologized afterwards but this did not appease fans who have been giving him a difficult time ever since. The level of heckling at the Player’s Championship came to my attention, and I think everyone else’s, because Garcia was involved in a playoff with Ricky Fowler and Kevin Kisner. In the Player’s Championship they play a three hole playoff instead of sudden death so the three players played three full holes together in front of the entire crowd and exclusively on camera for every shot. It was then that the heckling became painfully apparent. Those who dislike Garcia attempted to disrupt him in the midst of his swings. They shouted in the middle of his backstroke as he putted. According to Garcia it had been going on for much of the round and he refused to blame the behavior for not winning the tournament. He parred all three holes in the playoff and was eliminated. Shouting at golf tournaments has gotten progressively more intrusive but this was the first time I’ve seen a concerted effort to disrupt a player by yelling in the middle of the swing. It was disturbing to witness. This was clearly an effort by fans to alter the course of the tournament. If this sort of behavior is allowed to continue it is only a matter of time before fans of Garcia begin to attempt to disrupt his opponent and before fans of all players do the same to anyone competing against their favorite. It’s rude, it’s selfish, and it’s just plain ugly. There are those that argue the crowd is loud and rowdy at football games, baseball games, and other sports and the golfers should just adjust. I have no doubt the golfers will adjust if this behavior becomes more common but I still don’t like it. Individual sports like tennis, golf, bowling, pool, and others require great focus and the crowd has traditionally been quiet during the preparation and execution of shots. Society has changed in this regard. It seems to me that fans are more selfish. Not only do they hurt the player but they ruin the enjoyment of the game for the other spectators. I’m not about passing draconian laws that banish spectators for any sort of boorish behavior. I think the real solution is to teach people to respect themselves, other spectators, and the game itself. Anyone who truly respects the effort required by professional athletes, who respects the other fans at the game and values their enjoyment, and who, most of all, respects their own integrity won’t behave in such a manner. Not an easy solution but the best long-term one. As anyone who reads my blog on a regular basis knows; I’m from St. Louis and a huge sports fan. In the last few years I’ve noted a hefty increase in the amount of time spent honoring military veterans during the games. At every Blues, Rams, and Cardinals they take time to honor a soldier in the stands and run some tributes on the video screens. It turns out that, in at least some of those cases, the military is paying the team to run the tribute. They consider it advertising and money well spent. 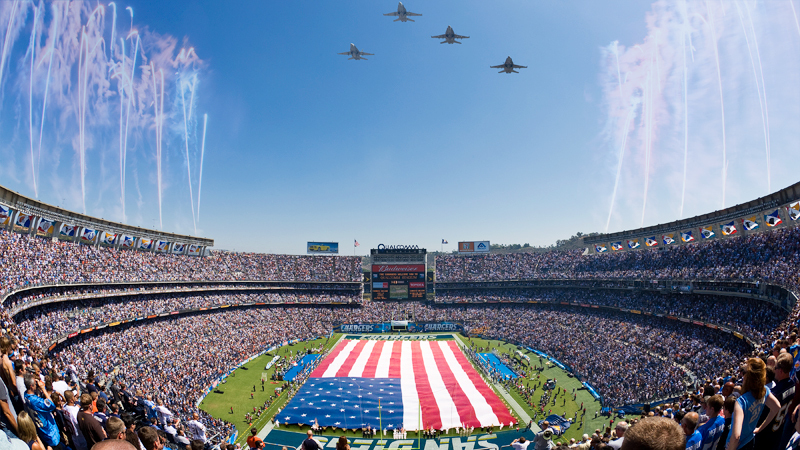 I can’t tell you if that’s the case for my hometown teams, the article only mentions the contract between the National Guard and the New York Jets, but I did want to examine the idea of my tax dollars going to sports teams in order to honor veterans. The first thing that comes to my mind is that when the Cardinals, Rams, and Blues give up time during the game to talk about a veteran they are potentially suffering a financial loss. That time would have otherwise gone to paying advertisers. The second thing I think about is that it’s quite good advertising. 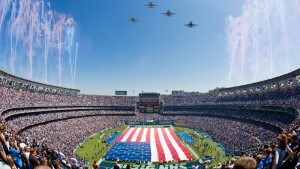 Young men and women at the game are probably inspired by the tribute and want to join the military because of it. The military spends plenty of money on advertising outside of sporting events so it shouldn’t come as a huge shock that they are behind the tributes, at least financially. I think the problem comes from the fact that there is a general impression that such tributes are done out of respect for the military and our veterans, not because they are paid advertisements. The reality is that on the whole these days sporting events are largely just giant paid advertisements. Anyone who’s gone to a game in the last ten years has seen every open surface of the stadium splattered by ads and had their eardrums assaulted during every break in the action by advertisements. I suspect most people thought the teams were doing the military tributes out of the goodness of their hearts and the various leagues certainly did not do anything to dissuade us fans from such notions. That would certainly describe my understanding of events prior to reading the article. That being said, I don’t have a problem with it. It’s capitalism in action. The team gets good will for doing it while the various military branches get return on their advertising investment. What do you think? Are you upset and angry that such tributes are merely paid advertising? Do you feel deceived? Or are you more like me and accept events for what they are? 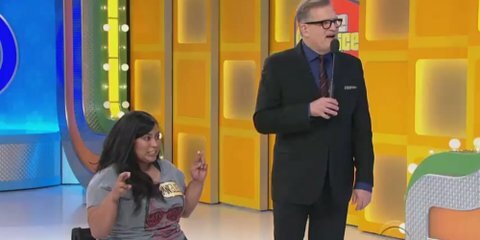 There’s an interesting little news story making the rounds about an episode of the game show The Price is Right where a double-leg amputee won a treadmill as part of her prize package. Apparently some people were upset by this although, judging by the comments, the majority of people don’t have a problem with it. The game show issued a perfectly satisfactory explanation and I’m not sure I need to elaborate much upon it but I did want to discuss the idea that some people found the episode uncomfortable and consider their point of view, or at least the rationale behind it. The prize, of course, was determined long before the contestant was chosen. There is no way the show can match every prize to every contestant. I would imagine many of the contestants simply sell their prizes in order to pay for the taxes on the earnings so it’s rather pointless to worry about what the prize is to begin with. The contestant, Danielle R. Perez, seemed enthusiastic about the prize and made no mention of the fact that a treadmill wasn’t the most appropriate prize for a double-amputee and the host also made no mention of the seeming incongruity. But the real question is why were people upset? Do people get upset when a man wins a product generally designed for a woman or vice versa? What was it about this particular episode that got people thinking? It’s my opinion that people generally want to be good, they want to be helpful. It makes us feel better about ourselves when we do something nice. The idea here is that people came to an erroneous conclusion, Perez was in need of help or sympathy. She wasn’t. She’s just fine the way she is and happy with the prizes. I don’t think it’s a bad thing to want to be nice to people and to help those suffering from real harm. That attitude is one of the good parts about being a human being. But it becomes a bad thing when we try to help people who don’t need it for the sole purpose of making ourselves feel better. It’s quite clear that Perez didn’t need anyone to help her. People are trying to do so largely because it makes them feel better about themselves. This is a difficult thing to fully grasp. We want to be good people and do good things and thus we seek out ways to affirm our goodness. In this era of instant communication people use Twitter and other social media platforms to show the world how wonderful they truly are. They stick up for the downtrodden by spending a few seconds writing a Tweet and Liking a post but they aren’t really a good person for doing it. It’s not easy to examine our motivations deeply but I think the world would be a better place if we did. The next time you want to help somebody, take a moment to examine if that person actually need any help. Examine your motivation. 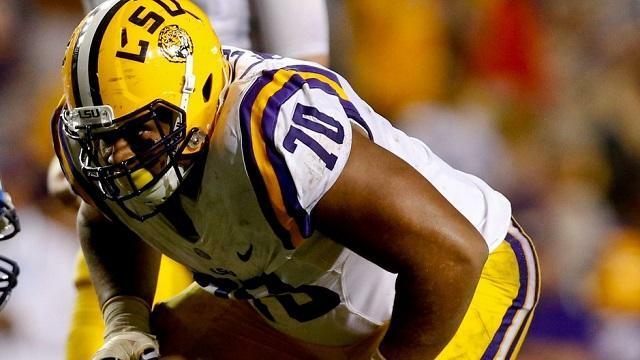 The National Football League just held their annual draft and a particularly unfortunate series of events led to a young man named La’el Collins remaining undrafted despite the fact that he was considered a First Round talent. It illustrates an interesting reality of this world in which we live. Collins is being questioned by police in relation to the murder of a pregnant woman. The police state that Collins is not a suspect in the murder of Brittany Mills but did have a previous relationship with her. They plan to question him about his relationship. This was enough for every team in the NFL to pass on Collins through all seven rounds of the draft. If Collins was not being questioned in this case it is most likely he would have been taken as one of the top ten picks in the draft. The NFL uses a system whereby the position you are drafted in determines your rookie contract to some degree. If he had been drafted in the tenth slot Collins would likely have gotten a contract worth about $12 million. As an undrafted free agent he stands to earn about $500,000 per season for his first three seasons. The difference is clearly enormous. NFL teams are under no obligation to draft anyone. Because Collins is involved in an extremely serious legal situation, each team chose not to draft him. Collins asked the NFL to allow him to enter what is called the Supplemental Draft at a later time after he had time to clear up the current issues. The NFL refused. Collins said that he would refuse to sign with a team that drafted him after the third round and wants to enter the draft next season, this is currently not allowed by NFL rules. What does all this teach us? That life isn’t fair. The police stated pretty clearly they do not consider Collins a suspect in the murder but with the recent events in the NFL regarding Aaron Hernandez the teams in the league were immediately wary. There are a lot of losers here. Mills is dead, Collins is out a lot of money; his reputation is forever sullied, and the NFL team that would have drafted Collins won’t have his services. Was there a better way? Could the police have waited until after the draft to announce they planned to question Collins? I’m not sure. It’s a murder investigation and I’m sure the family of Mills wants the police to move with all haste. It’s possible Collins is involved in the murder and the teams were right to avoid drafting him. Hopefully the police will find the murderer and Collins will have nothing to do with it. Collins will sign as an undrafted free agent and perform remarkably on the field and get a huge contract in three years. Still, it does make me wonder about the nature of the world. It’s quite possible Collins did nothing wrong and is being significantly punished for it. Sometimes there are no easy answers, or answers at all.